Outside of the motorcycle scene the city itself is a hoot. While Toronto is a totally urban, skyscraper-plagued metropolis, there are still little bits of green here and there, such as the beaches, the Bluffs, the Don River, and more. 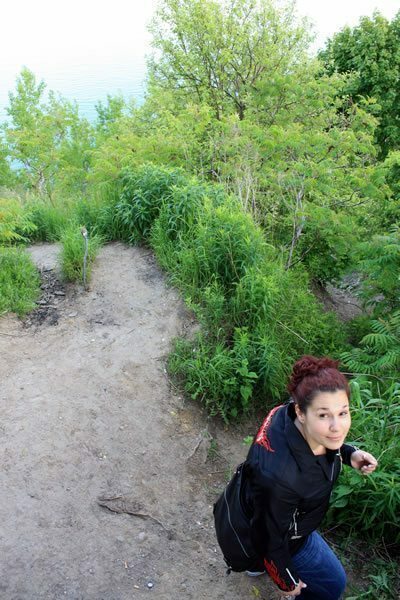 At least twice a year I’ll ride to the Scarborough Bluffs and climb down the 200 foot escarpment. For motorcyclists, this is hiking. 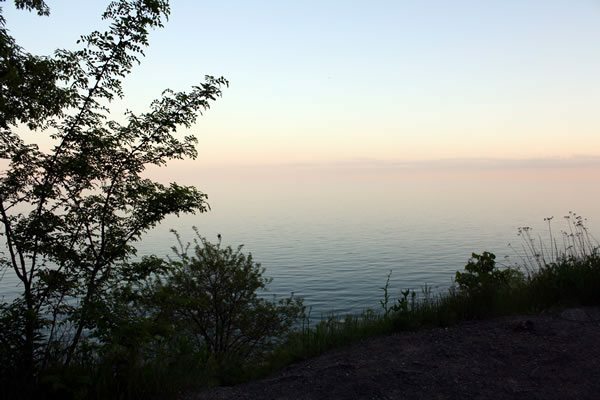 A survey of the land from the summit shows faint sparkles of light, reflections of the sun off of LakeOntario. We can’t see the bottom, or much of the path. Our descent begins at a steep angle, but Ashley had made her way down the Bluffs in some mudslide conditions before and decided to lead the way this time. Of course there comes a time when even the bravest of leaders has to turn and say “Oh, actually, maybe you should go first.” So I took the lead down a sharp and narrow path, with Ashley following my every move, more or less. Luckily we aren’t the first to climb down the Bluffs, and we won’t be the last. 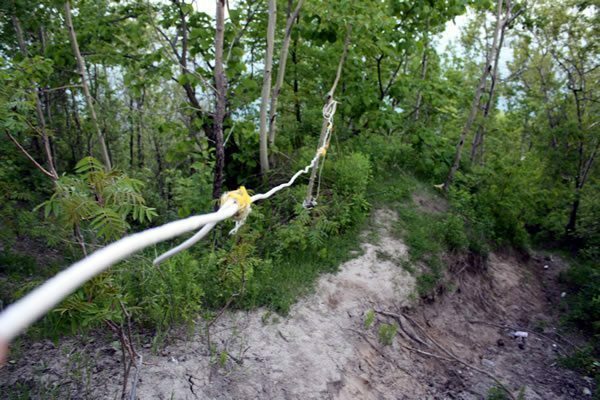 In fact, we discovered the path by chance, and found that some other regulars had already lined certain areas of the hike with rope. When you finally clear the overgrowth you get treated with a view of LakeOntario. A look back deceives passerby hikers with no sign of any pathway. 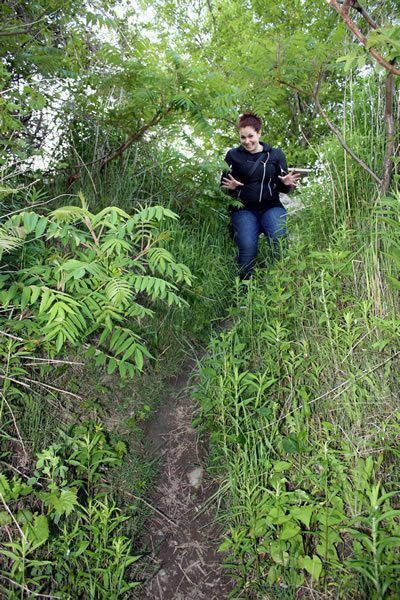 The hundred foot tall trees and greenery keep our Scarborough Bluffs route a secret. 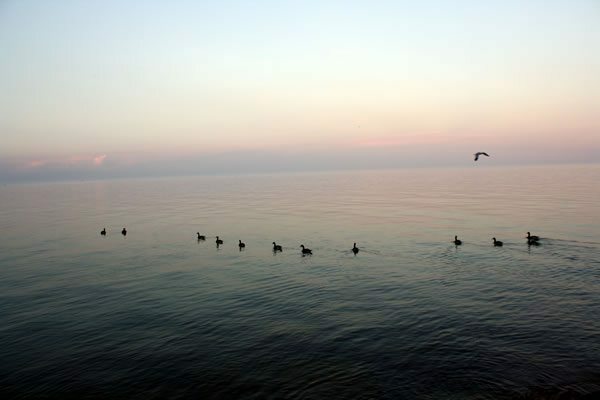 We arrived at twilight, too late in the day to see the sun set on LakeOntario. A group of hikers had set up a campfire near one of the many rock peninsulas pushing out towards the lake. A gaggle of Canada Geese swam and flew by us. 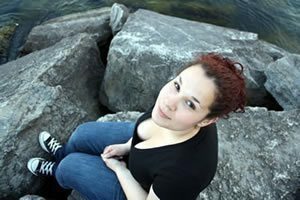 She smiled at me and I smiled back, enjoying all of Canada’s beauty. Canadiana, it gets even better with beautiful company. 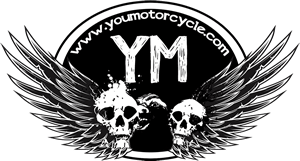 Don’t forget to look at our other motorcycle adventures around the Greater Toronto Area and Ontario.